About 10 years ago just, after I finished my coursework in nutrition, I started giving classes on How to Navigate the Grocery store. Soon after you could find loads of articles on-line and in magazines on how to tackle the massive grocery stores and find only the best quality whole foods, ideal for your health. The rules were simple, shop the perimeter, that is where you will find produce, seafood and meat and dairy (though if you have read any Optimal Kitchen blogs before you know I am a bit anti-dairy). Once you have stocked up on those whole foods do a quick check of the organic section for any dry goods you may need and your ready for the check out. We should have known that once us nutritionists starting talking about the hidden dangers lurking within those aisles, that the supermarket companies would devise some kind of plan to get us back in there. Alas one of my local grocery stores has fallen victim to this type of deceptive marketing and this past month has completely rearranged the store and removed my beloved organic/health food section. Of course I was the obnoxious customer who asked why in god’s name they thought this new layout was beneficial to anyone. Keep in mind I had just spent 20 minutes looking for my organic tamari which I buy regularly. I was told they decided to co-mingle the organics with their conventional counterparts so that shoppers could do price comparisons and be more informed shoppers. Sounds good, right. Well, if that was the case why wasn’t the tamari in the Asian section next to all the other soy sauce products? If you can believe I found it next to the barbecue sauce, the only explanation I could muster was that they thought tamari was akin to terriyaki sauce and belonged with the marinades and bbq sauces! 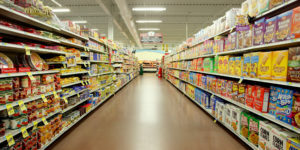 All I can conclude from this absurd re-organization is that customers where getting too smart, and those looking to improve their health through the foods they eat were avoiding those center aisles, chock full of all sorts of unhealthy goods. But why would the store want customers to load up on those unhealthy processed foods, what difference does it make to them if you only buy produce and other whole food products? It is quite simple really, the mark-up on those processed goods is far greater than that of fresh fruit, vegetables, meats, eggs and even dairy. It is in the store’s best economic interest to get you in those middle aisles shopping so they will do all they can to drive you there. This is not meant to demonize grocery stores, which are a big part of any community’s economy, but it is meant to inform you that you these practices exist and why they do. Ideally we would all be getting the majority of our food from local farmer’s markets or co-ops but that is simply not realistic. Instead I urge you to try and shop at smaller, locally owned grocery stores that don’t decide to re-arrange the store every year simply to keep customers wandering the aisles, eyes glazed over simply throwing things into their cart because they are unable to find the goods they really want and need. Where we choose to spend our money will have a great impact on how stores operate. If you decide to no longer frequent those mega grocery chains, even though it might save you some money and instead shop at your local farmer’s market and specialty stores, we might just change how these stores operate. 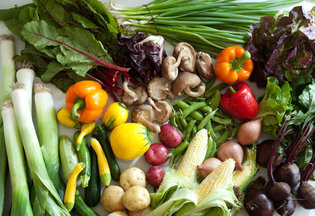 Knowing who and where your food comes from is definitely worth the extra cost. And remember when you support local stores you support your community not some corporation. Perhaps it is due to my chosen field, but everyday my Facebook feed is bombarded with images and stories about how this food can promise weight loss or increased libido or whatever health issue they are focusing on to sell their product. Remember in the end they are almost always trying to sell you a product. First off let me tell you, I am not trying to sell you anything and secondly most of these promises are simply bogus. Bizarrely enough the world of nutrition is a fairly new science, pretty incredible when you think about the fact that we have been eating, well FOREVER! But here is the thing , how we as a nation feed ourselves has dramatically changed over the past 75 years or so. All I can speak to is the past 45 years since that is my lifespan but, wow have I seen some huge shifts. Let’s think about how we shop. I am a city girl so large supermarkets were never where my family shopped, but even those stores in the 1970’s and 80’s were a fraction of the size they are today offering a lot fewer choices to the consumer. So we shopped at the butcher, the fishmonger, the baker and the green grocer for most of our food. Sure we went to the grocer for household products, orange juice and pet food but not much else. Things are much different today in the world of giant super stores. 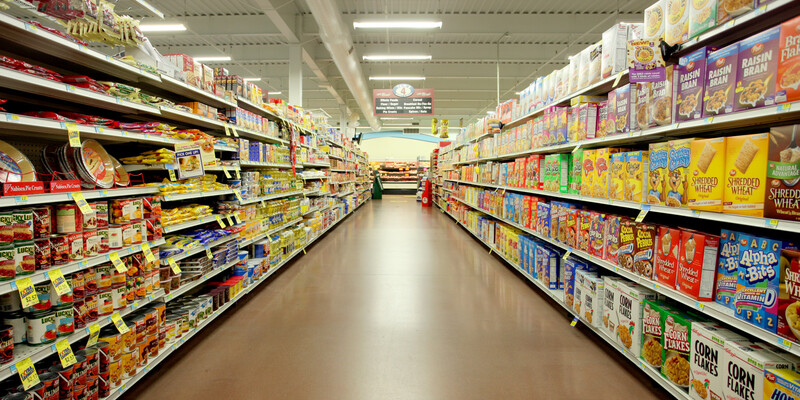 If you find yourself shopping in these stores, going up and down each aisle filling your cart, that is the first mistake you are making with your health. If you purchase anything in a bag or a box, you are putting your health at risk on some level, and the environment but that is another issue for a different day. Now I am a realist and I know there are many of you out there that can’t fathom filling your cart with nothing but whole, fresh foods that actually have to be washed, prepped and cooked, but for centuries, this is how humans ate so it should not surprise any of us that they way we are eating today is not just unhealthy, but truly unsustainable. On an evolutionary level, and let us remember that 75 years is a blink on the evolutionary scale, our bodies simply cannot adjust quickly enough to all the dietary changes we have seen and our ballooning weight and rise in obesity as a nation is simply one example of that. What is worse is that we keep creating products that we think will solve these issues only to find out given time that we made a colossal error. A great example of this is margarine. I remember margarine rising in fame in the 1980’s as a way to combat that demonic butter that leads to high cholesterol. Boy were we wrong there! Studies now show how margarine is in fact one of the WORST things you can eat and butter and even lard are coming back in favor. Well let’s just say humans have been eating lard every since we began eating meat, 100,000’s of years ago ,and we have been eating butter for around 10,000 years, so we can prove that on an evolutionary scale we are designed to eat and even thrive eating these foods. Here is the thing though, feeding ourselves shouldn’t be this hard. Life is stressful enough with out adding the challenge of feeding ourselves and our families healthy foods. So the best advice I can give for anyone out there who wants to improve their health through the foods you eat remember this; there are no magic potions or super foods that on their own will dramatically change the shape of your body or your overall health. Eating well takes some effort and if you simply hate to cook you better find a prepared food store that makes healthy foods from scratch, because shopping in the freezer section of your grocery store or relying on take-out doesn’t cut it. Eating well is a challenge, but dealing with a chronic illness due to poor diet is a lot harder to deal with, so why not take a pro active stance now and try to improve your everyday diet. I will make it easy for you since actionable steps are the best way to attain success. Here is a goal for your next shopping trip; TRY TO CUT BACK ON YOUR PROCESSED FOOD PURCHASES BY HALF, AND — USE THE MONEY YOU SAVE TO BUY FRESH PRODUCE. This one step is a great start and check back in a couple of days to see what new suggestions the Optimal Kitchen has in store for you. Each week The Optimal Kitchen offers a variety of selections to customers most of which are vegan, many are gluten free and there are even vegan paleo options. After years of educating and empowering the residents of Cape Cod to make healthy food part of their everyday lifestyle, I realized for many, they did not have the time or desire to prepare healthy foods for themselves. In response to this community need and after years of searching for a commercial kitchen space, The Optimal Kitchen has been able to move to the next level. 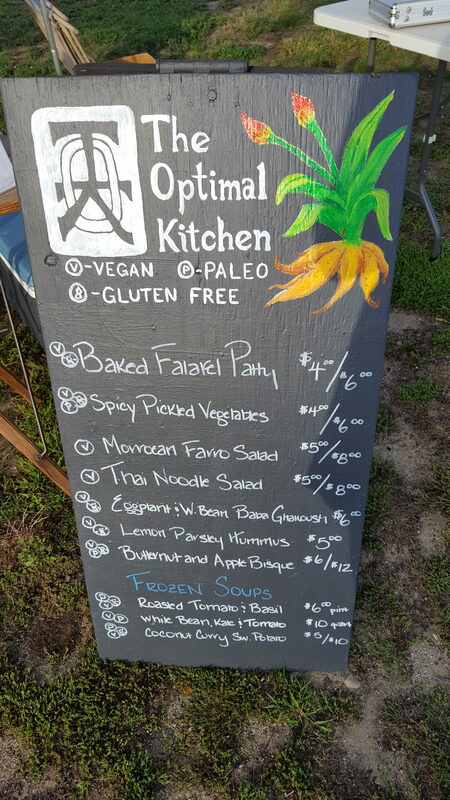 Not only are the foods offered at The Optimal Kitchen designed to help you achieve your individual health goals, they are an economical solution for the single person or even couples to incorporate healthy foods into their everyday diet. 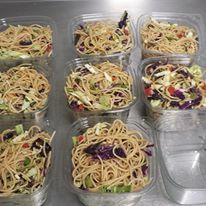 Many of the dishes offered by the Optimal Kitchen use exotic and expensive ingredients, but by cooking in bulk and portioning it out for the individual we are able to offer these incredibly healthy and delicious foods at affordable prices. 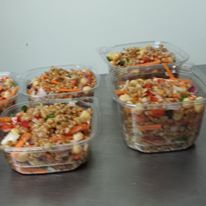 Another bonus is an attempt to reduce food waste. More than 2 decades as a professional Chef has taught us how to make the most of our ingredients and re-purpose them so there is little to no waste. An example is that all vegetable stocks are house made from the peels and scraps of vegetables that went into your salads and soups. So for those of you out there struggling after years of preparing foods for a family to pare down to cooking for just one or two people, The Optimal Kitchen healthy prepared foods are perfect for you! When possible locally sourced and organic ingredients are used, but focus is always placed on affordability. Therefore, I will never claim to be completely organic, but I will claim to always be healthy. 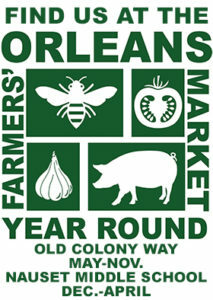 So come on by the Orleans Farmer’s Market and pick yourself up some of these delicious, healthy and affordable foods and you may just realize you won’t have to cook anymore! Food waste is a huge problem, so much more than you can imagine. You might look at your own trash and think ,”oh that isn’t too bad.” Here is the problem, take your personal food waste and multiply it a thousand times and that is you local grocery store not to mention major growers and food producers who are the ones creating a constant waste stream of food that in this chef and nutritionist’s view is often made up of delicious and nutritious foods. A handful of entrepreneurs have come on the scene and are finding creative ways of using food that would otherwise be bound for landfills and selling them to the public. 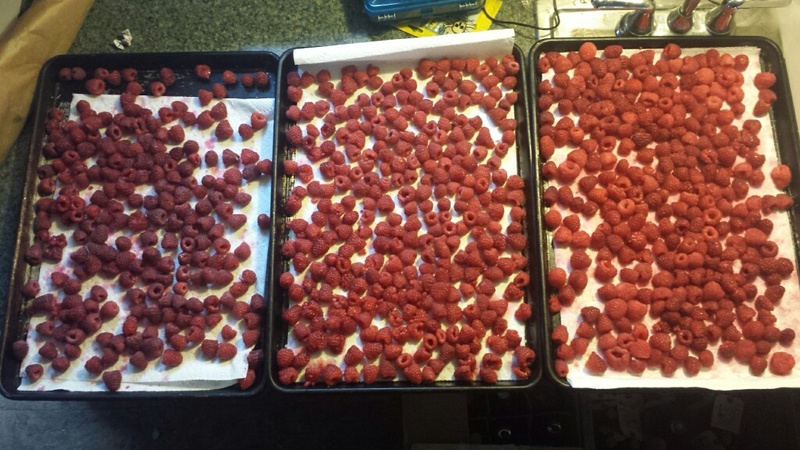 A recent trip to my local Stop and Shop last Friday allowed me to score these 3 trays of raspberries for a $1.50. 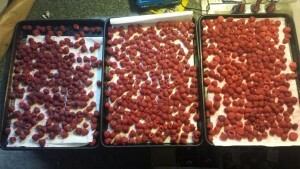 Had a purchased the same raspberries the night before, I would have spent around $50,but since the produce manager viewed them as less than perfect they were in the cart destined for what I hope was the compost heap, but what was most likely the dumpster. After emptying the containers on paper lined sheet pans and examining the berries I found only 3 that had a bit of spot mold and needed to be thrown away. Ironically I have bought raspberries at full price that were a lesser quality than these. Luckily I know that spreading berries out like this extends their life, and taking those same trays and placing them in the freezer allows me to IQF (individually quick freeze) these delicious berries so we can enjoy them in the weeks and months ahead. 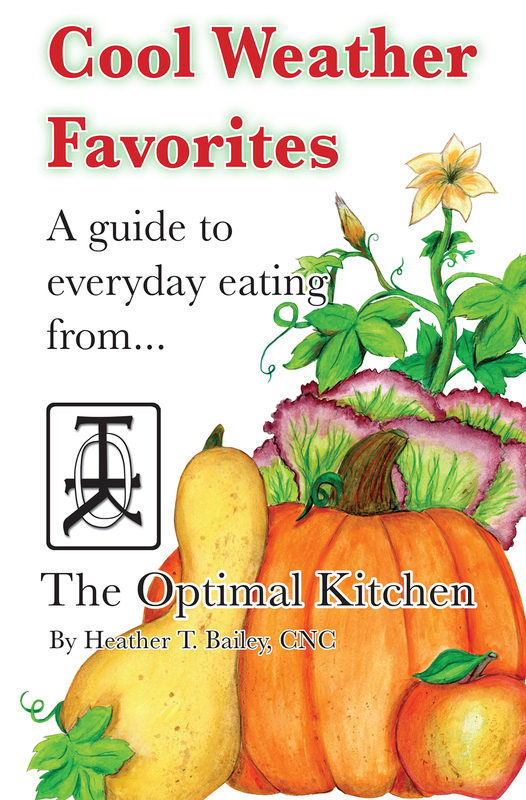 The Optimal Kitchen is about empowering clients to learn how to tackle the challenges of feeding you and your family healthy whole foods in affordable ways and reducing your personal food waste is a critical part of this process. Below are some simple ideas on how to ensure less of the food you grow or buy ends up in the compost or trash. Make your own STOCK: this is one of the best things you can do to reduce waste and save a ton of money. Save all vegetable scraps, items like carrot peels, onion skins, tomato tops and the likes in a ziploc bag in your freezer. Once the bag is full empty into a stock pot, cover with water and simmer for several hours and then strain. You will have a delicious, sodium free vegetable stock to use immediately or to freeze and safe for the future. Most vegetable scraps are perfect for stock but avoid cucumber skins (due to wax coating), and potato skins which make your stock a bit starcy. Make your own fruit Vinegar: When you have bruised peaches, berries, apples or the like don’t throw them away. Take those fruits and place them in a glass jar and cover with some distilled white vinegar and some water and cover with cheesecloth. Let it sit in a cool dark spot for a few weeks and then strain and place in a glass bottle and you will have a great flavored vinegar to make your own salad dressings. COMPOST: this is not a food item you are creating but your food scraps do become a valuable soil amendment for your vegetable or flower gardens. If you don’t want to deal with composting please take the time to find a friend or neighbor who does and consider collecting your vegetable scraps for them. These are a few simple ideas that will save you a bit of green as well as help to keep our planet a bit greener. Remember: Every time you throw food in the trash you are throwing money away and if you are like me you work way to hard to throw valuable money into the trash!